Adventure Time became one of my favorite shows when I came across it about a year or two ago. This is one of the most out there shows that at first was hard to understand what all was going on. In this set you get the "Jake The Dad" episode which goes through the birth of his kids and how they grow at a crazy rate. That episode alone is worth it to buy this DVD. It's great watching the interaction between Jake and his kids. 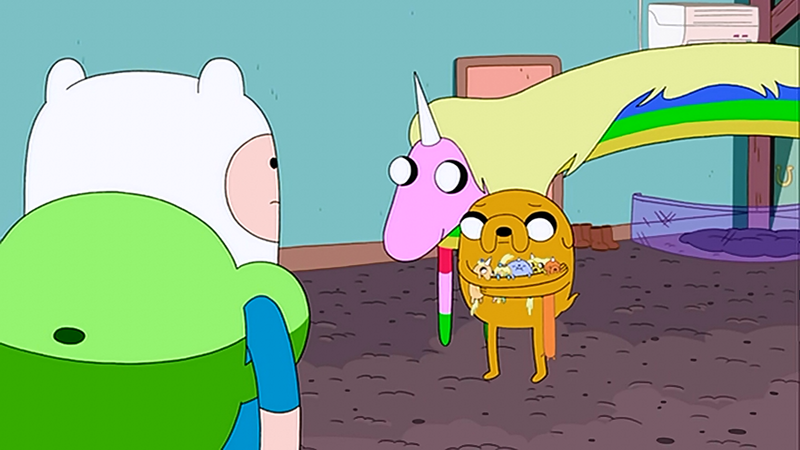 It's a kind of heart warming episode in it's own odd little way.The only thing that gets me is that Jake and Finn grew up together so if they are the same age then Jake would of became a father at the age of 12 or 13. It seems as if Jake grows and ages like a human so I don't think they are going by the whole "dog years" thing. There is so much to this show and it's actually one of the most complicating to explain to someone who has never seen it before. The tone of the show is very much for kids, but is also made to entertain adults as well which I love when they do that. It makes it way more fun and enjoyable to watch with my son. Another thing that makes it enjoyable is that things happen all the time that you are not expecting which makes for a fun show. Now if you are not a fan of off the wall humor like that of "Ren & Stimpy" then I don't think you will enjoy this show as much as someone like myself does. 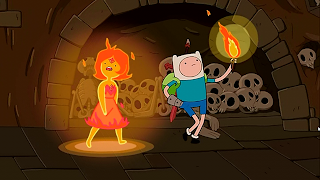 The animation on this show can be seen a crude to some viewers which I would kind of agree with if you look at some of the episodes from the first season. Like any show this one has came into it's own and keep getting better and better looking and more fun. 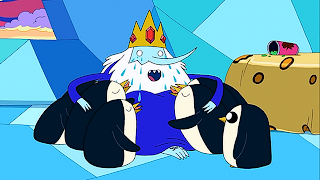 There is a large range of characters that are involved, but aside from Finn and Jake I have to say that I really like the Ice King. The Ice King is a very quirky character who has an odd voice and looks like Santa if he was made of ice. 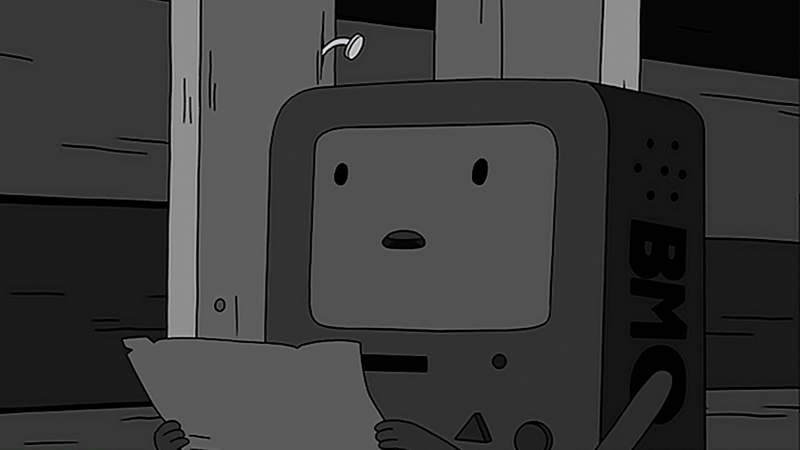 Also I love the character of BMO who is Finn and Jake's friend and game systems amongst other things. There are two episodes on this release that I absolutely love aside from the "Jake the Dad" episode. 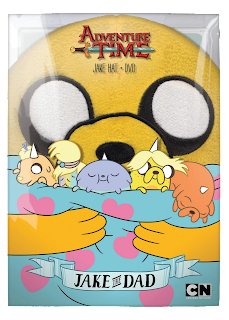 Those episodes are "All the Little People" which has Finn who comes across a small bag that has little versions of the people from the land of Ooo. 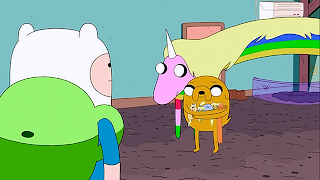 Jake and Finn start to play with them which leads to bad things happening to the characters which forces Finn to correct what he has done. 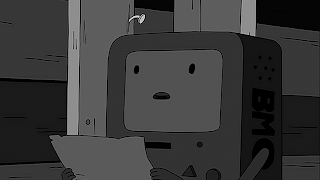 The other episode "BMO Noir" which centers itself around BMO and how he is in search of Finn's sock, but it plays out like a classic noir film and is in black and white. Being a fan of the occasional noir film I absolutely loved this one. Watch it and you'll know what I mean. The presentation on this DVD release is quite good. I do have the first two seasons on Blu-ray and they look fantastic on there, but for this release they look just fine. 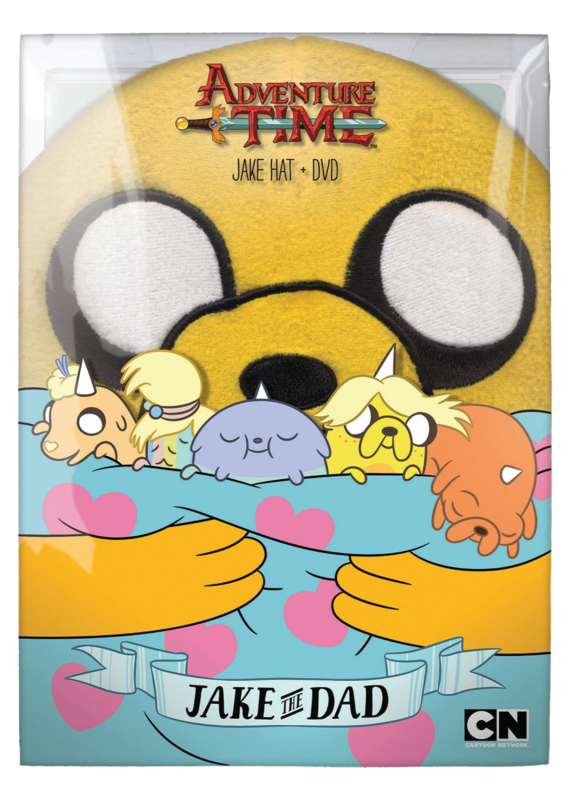 Aside from the DVD that has 16 episodes you also get a pretty cool Jake hat that kids who are fans of the show will love to wear! 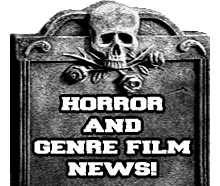 Overall this a very cool release of an excellent show!